Specially engineered plugs to give a better fix in questionable substrates. Delta Qwik Seal fixing plug has been engineered to give a better fix in questionable and poor substrates. It has the added benefit of having a rubber sealing grommet supplied with the plug. This grommet seals the plug when it is hammered into the substrate to give a waterproof seal. There is no need for Delta rope to create a suitable seal. 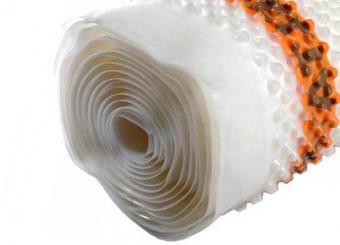 These Qwik Seal membrane fixing Plugs are designed for use with System 500 membranes. The Delta Qwik Seal Plug is pre-drilled to accept a size 10 (5mm) self-tapping screw for the fixing of battens or other dry-lining systems.